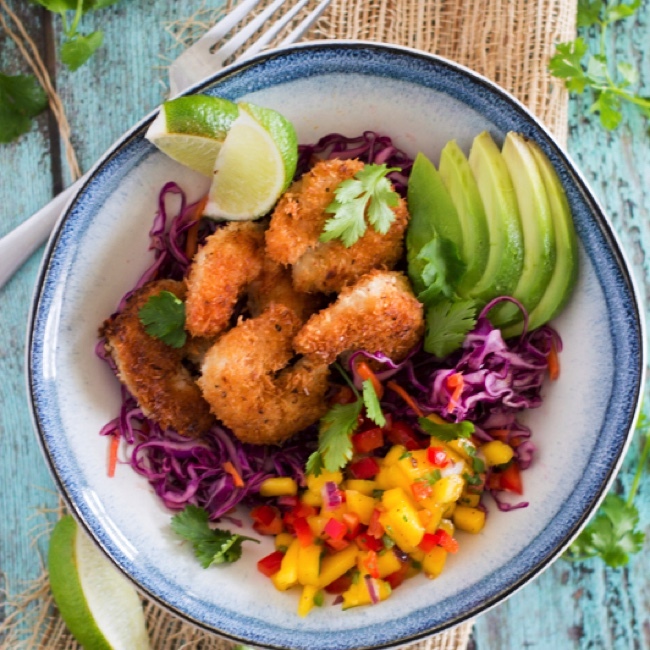 Coconut shrimp taco bowls are the epitome of summer. Tropical flavors and full of color, you will want to eat these every single day for the rest of the season! Welcome to another week, friends! I can’t believe that we are halfway through July already. ??? Why does summer always go so much faster than winter?! Luckily, we still have plenty of summer days left. Even though back-to-school stuff is out everywhere (which I secretly love! ), we are still in the middle of summer. Which means we have to soak up all that summer produce! 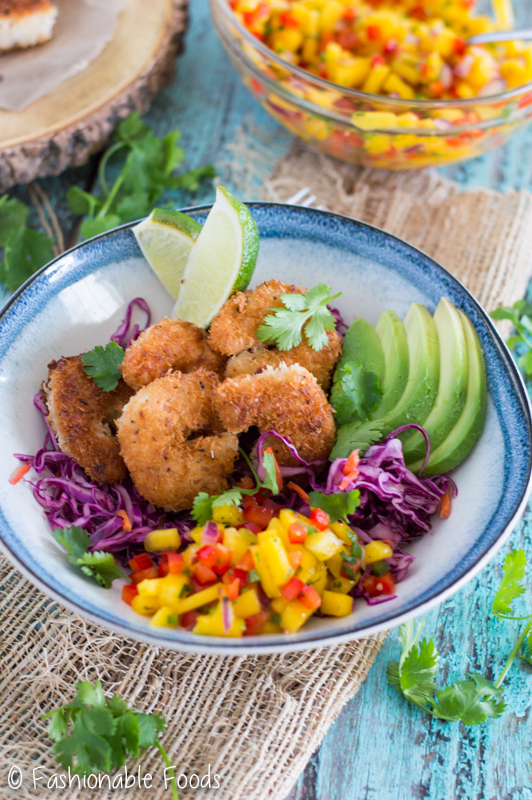 Not only are these coconut shrimp taco bowls extremely delicious and colorful, but they are dairy-free, gluten-free, Paleo, AND Whole30! If you’re not into food labels, you can absolutely still enjoy these… you just need to enjoy delicious food. ? Anyway, let’s talk about all the tasty components of these taco bowls. Coconut shrimp is one of my newest obsessions. Shrimp coated in finely shredded coconut… what’s not to love? If you aren’t a shrimp fan, you can use chicken instead. In fact, I made these taco bowls over the weekend using chicken and they were just as tasty. All you need to do is toss your shrimp (or chicken) in a bit of tapioca starch, then dip into egg, and then into finely shredded coconut flakes. I recommend unsweetened coconut, but if you can’t find it, sweetened will work, too. You’ll just have to keep a close eye on them while you’re pan frying them – they will burn quicker due to the extra sugar. 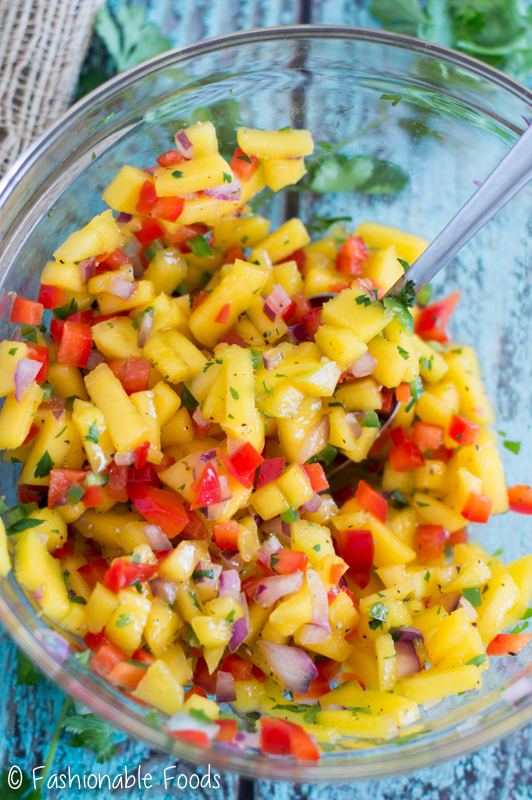 Mango salsa is another one of my latest obsessions. I have been putting this on EVERYTHING. It’s SO good and so simple. Finely chopped mango, bell pepper, red onion, a bit of jalapeño, cilantro, and lime juice. 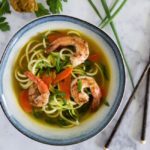 Simple, but extremely delicious! It pairs perfectly with the coconut shrimp, but it’s also great over blackened salmon or mahi mahi, grilled chicken, or as is with chips for dipping. Make extra, because you’re going to want leftovers! Oh, and we can’t forget the cilantro-lime red cabbage slaw! Shred some red cabbage and carrots and toss with a delicious citrusy cilantro vinaigrette. 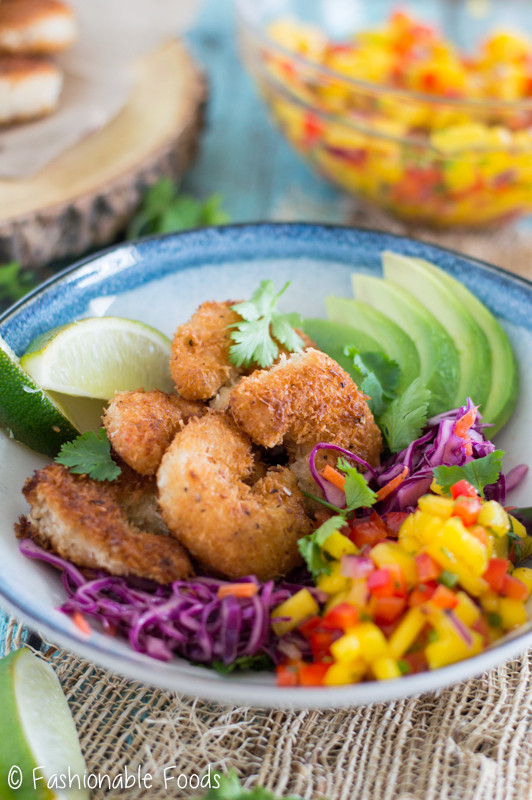 When it comes to serving these coconut shrimp taco bowls, you have a few options. To keep things Paleo and Whole30 friendly you can eat them as is, or serve it all over cauliflower rice. 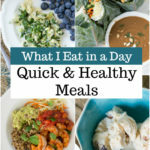 If you’re not concerned about Paleo/Whole30, you can use quinoa, white, or brown rice as the base. The first time I made these, I ate them as is. Perfectly delicious. Over the weekend I used white rice that I cooked in half coconut milk and half coconut water. It was delicious! You could also enjoy these as tacos instead of bowls. Just pile all the ingredients into warm corn tortillas, and bam! I like options, if you couldn’t tell. ? 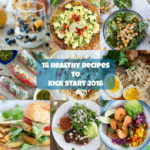 Combine the orange juice, lime juice, Dijon mustard, garlic, salt and pepper, and cilantro in a blender or food processor. Process until the ingredients are well combined and almost smooth. Slowly stream in the olive oil until the dressing is smooth and emulsified. Combine the red cabbage and carrots in a large bowl and toss with 2-3 tablespoons of the dressing, until lightly coated. Set the slaw aside while you prepare the rest of the dish, stirring occasionally. 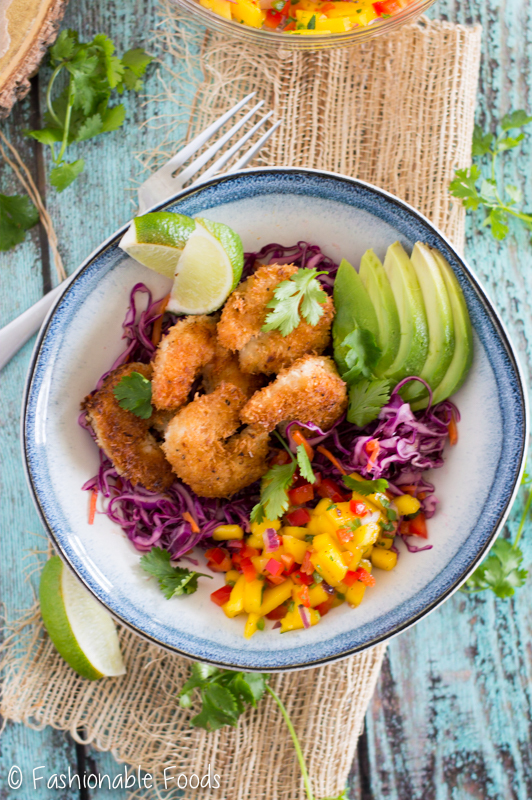 Combine the mango, red pepper, red onion, jalapeno, and cilantro in a medium bowl. Toss to combine and season to taste with salt and pepper and toss with the lime juice. Lay out the shrimp on paper towels to soak up extra moisture. Place the tapioca starch in a shallow dish and season liberally with salt and pepper. Pour the eggs in another shallow dish, and place the coconut flakes in another. Season the coconut well with salt and pepper. 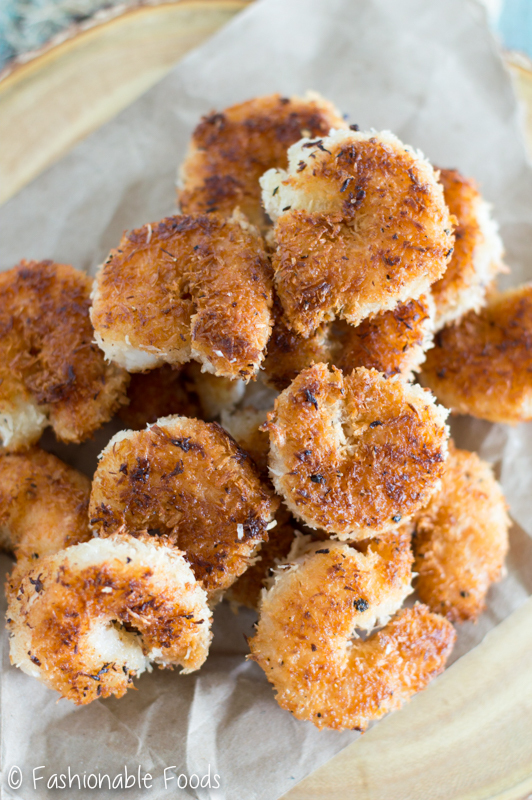 Coat the shrimp by dusting each in tapioca starch, dipping in egg, and then coating in coconut flakes. Repeat until all the shrimp are well coated. Add some coconut oil to a hot skillet to coat the bottom and cook the shrimp until golden brown on each side (you will need to do a few batches), about 2 or 3 minutes per side. Choose your base (cauliflower rice, quinoa, rice)… or you can simply use the slaw as your base! Whatever you choose, lay it in the bottom of a bowl and arrange the shrimp over top of the slaw. Top with the mango salsa, avocado slices, and cilantro for garnish. Squeeze a lime wedge over everything and enjoy! *Cornstarch or gluten-free all purpose flour can be substituted. (These won't be Paleo/Whole30 compliant). If you're not gluten-free, you can use regular all-purpose flour. 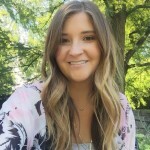 I saw on Instagram you had a new post and I had to dash over here to read it. 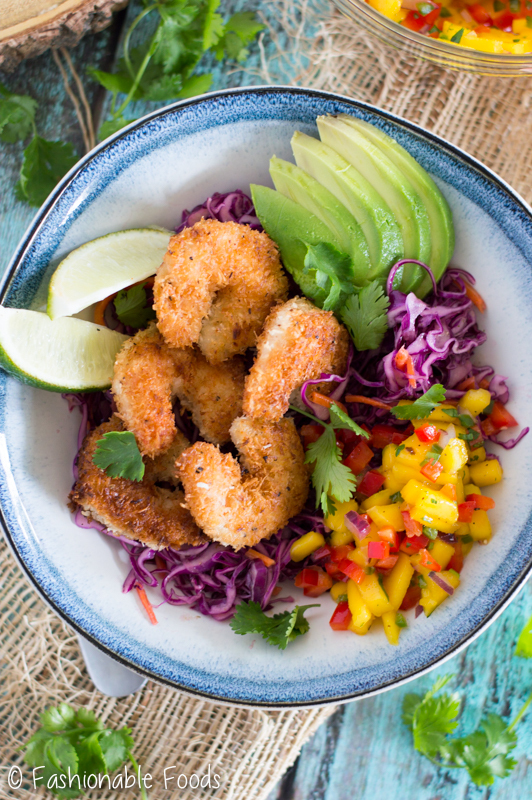 I love love love coconut shrimp, but I never thought about creating a healthy and delicious taco bowl. That avocado looks makes my mouth water and don’t get started on your mango salsa. I’ve always wanted to make my own mango salsa. Thanks, Mary! Mango salsa is one of my favorites lately. I’ve been putting it on anything and everything! Summer definitely goes by way faster than winter, and I hate it! I wish there was a pause button in life sometimes haha. These shrimp taco bowls look amazing, Keri! 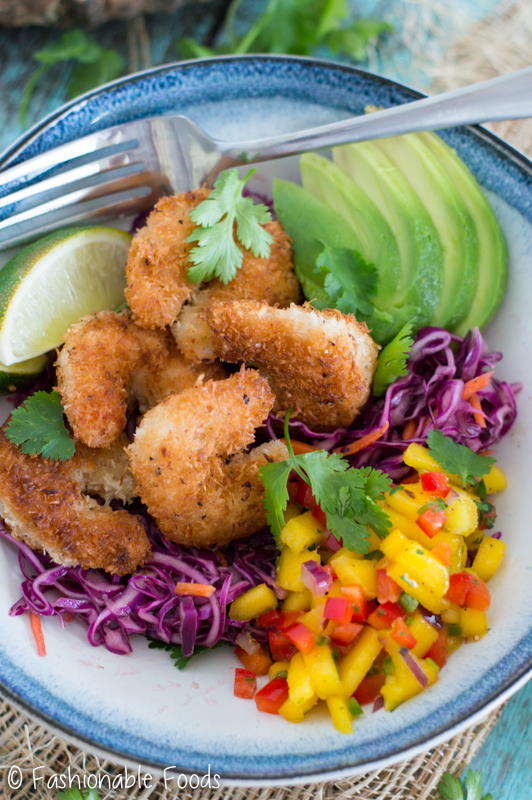 I’m loving that you made your own coconut shrimp! I would gladly devour this every day of the summer, and then some. Love those flavors! I wish there was a pause button, too! How cool would that be?! Thanks for the kind words, Gayle! 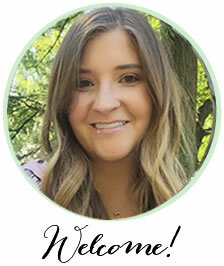 My daughter just announced that she is going to go paleo. This shrimp bowl is perfect! But you don’t have to be paleo to enjoy they scrumptious meal. I love everything in it!